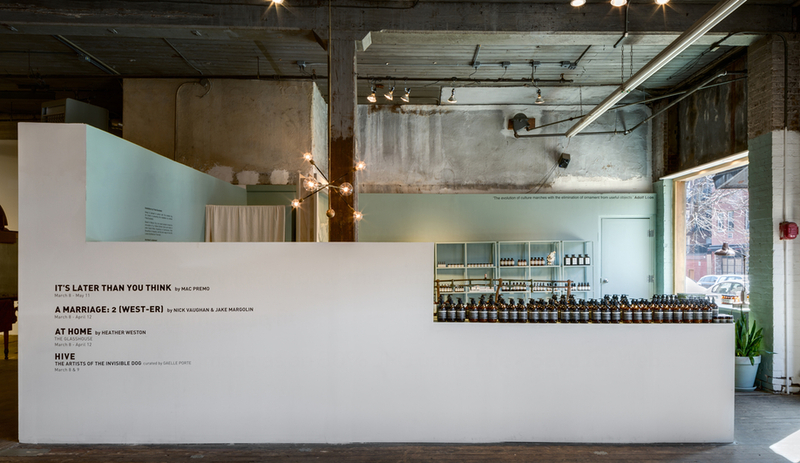 Up until July, the temporary installation in the Invisible Dog Art Center features a wall of sand that represents the passing of time. 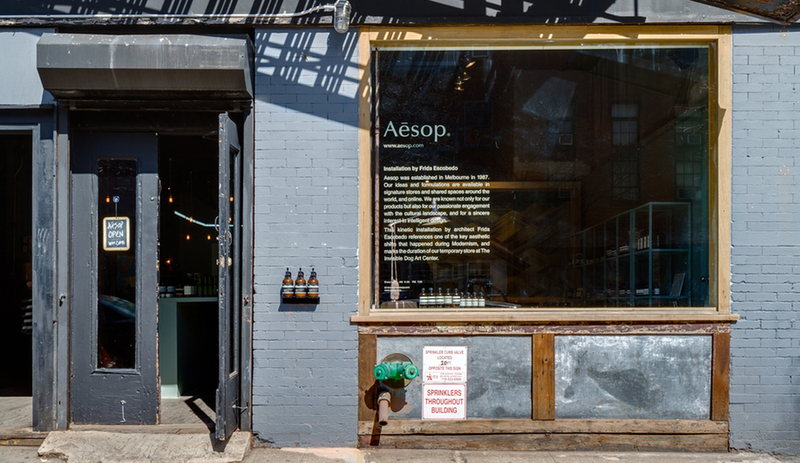 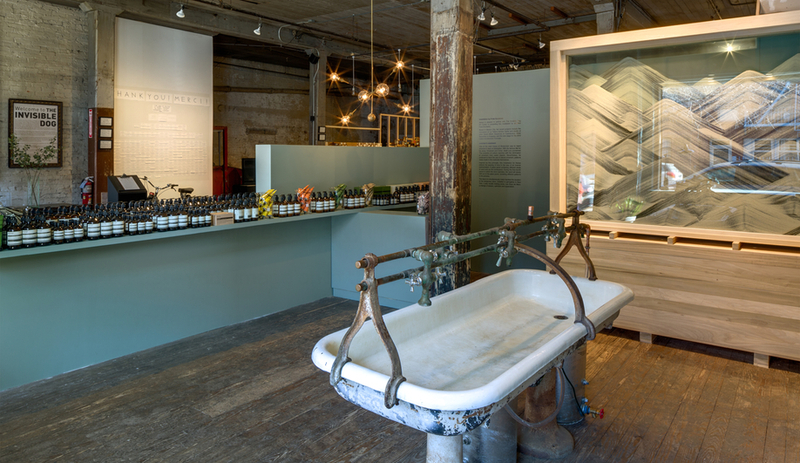 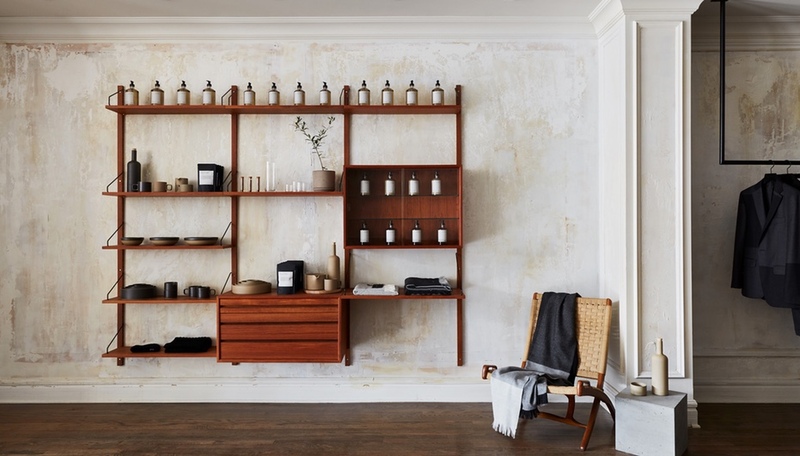 Aesop, the Australian beauty brand, has opened a temporary retail space that will run alongside the art exhibitions in the Invisible Dog Art Center, an interdisciplinary art space in Brooklyn. 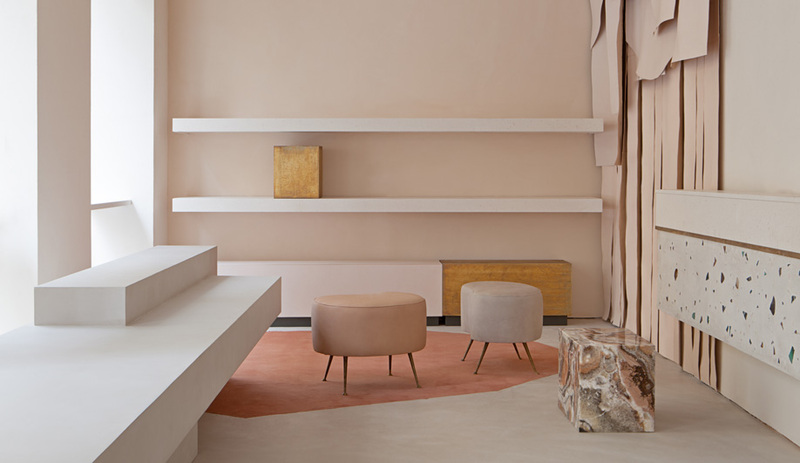 The space was conceived by Mexican architect Frida Escobedo, who has also recently renovated La Tallera (the studio-home of artist David Alfaro Siqueiros) in Cuernavaca, Mexico. 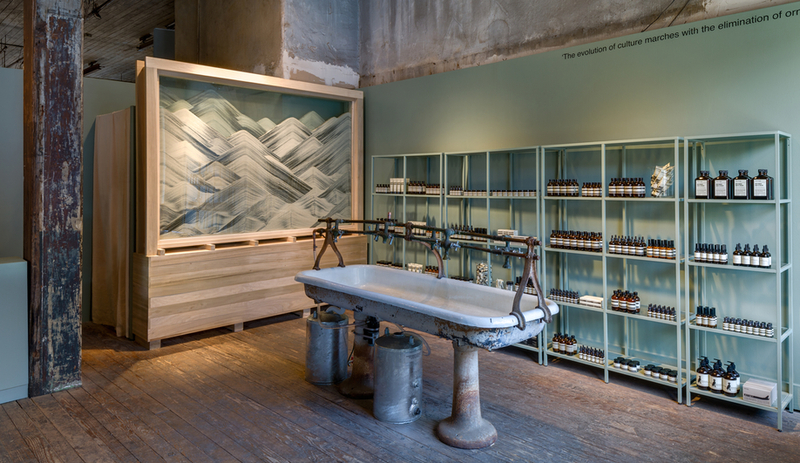 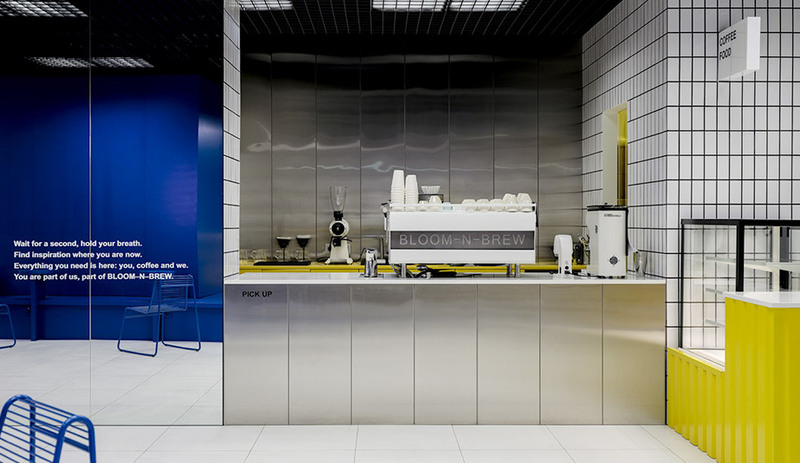 Here, she has created a simple interior, whose main elements include a freestanding vintage sink and teal-lacquered shelves adorned with Aesop’s products. 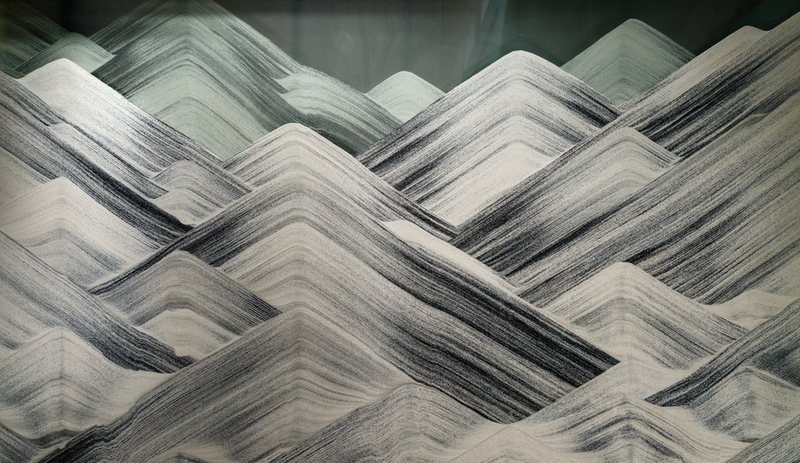 But Escobedo’s pièce de résistance is a timber-framed feature wall with glass-encased layers of different strata of sand; evoking at once abstract paintbrush strokes and an almost-too-perfect marble slab, the sand will shift over the next few months until the exhibition’s closing in July. 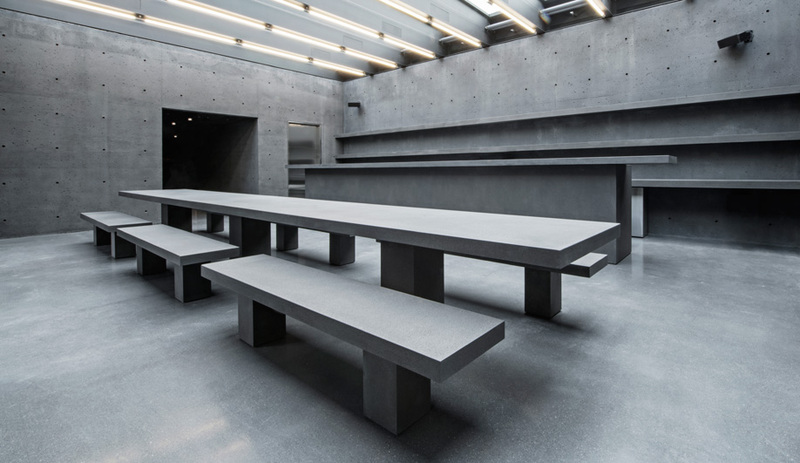 It represents how early Modernism turned away from aesthetic ornamentation, yet revelled in the natural variety – in veined stones and marbles, for instance.